We are told that the Co-op has exchanged contracts on the premises by the main entrance to the Station, but as yet we have no information on exactly when it will open. The site of the rumored Mediterranean Restaurant is still under offer according to the estate agent managing commercial properties in the Square. The Library Café is due for a new fascia board soon to replace the plastic banner currently in place. Watch this space for future developments! The following are the result of the Associations pressure. Roof gardens have been freshly weeded and with the help of rain are looking better, if not as they should be according to original planting. New locking arrangements are to be installed so that Ocean and Dekker residents cannot lock themselves in the bin rooms. Barratt have yet to step up and deal with the flooding that follows heavy rain in the underground parking. The Building Committee will keep pressing for this. Consort’s Service Charges for Next Year… An open book? There are ongoing concerns about the level of service charges as well as transparency of calculations. There is a general crisis of confidence in how fees are arrived at. The Residents’ Association plans to meet with the Consort Regional Management Team ahead of the next round of budgeting to discuss next years’ charges. E.on have a monopoly on Heat, which is a challenge. Ben Collins has written to Barratt’s about the nature of the Heating contract originally negotiated with Eon when planning the complex. Barratt’s response was posted to this blog Here. Many residents have moved their electricity supplier from E-On. As far a heating is concerned many have found that it is best to pay a lower standing charge and higher per unit charge. On behalf of the Residents Association, Mark has been in discussion with Eon about getting better information to residents about how to cut their fuel bills, and his findings can be read in his forum post Here. Many residents remain unimpressed with Consort’s performance and ability to run the complex efficiently and effectively. As we have pointed out before, the law allows flat owners to replace a management company if 50% or more of the leaseholders vote for that change. Urang, a London based property management company, have been invited by a group of residents to consider taking over the management. The company has a reputation for efficiency and prompt delivery. Urang are now completing the lengthy research needed to contact all leaseholders, or their agents. Following this, and working with a group of resident ‘Directors’ from Dalston Square, Urang will contact all Dalston Square owners to seek approval for taking over the management from Consort. 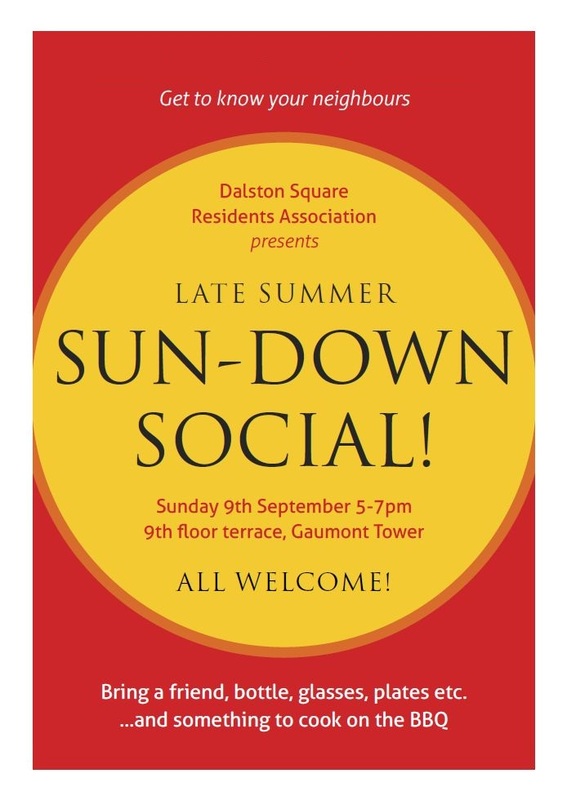 Thanks to Mark, we now have a Dalston Square website (used for DSRA announcements and information), and a Forum (for resident discussion and communication). Register on the website to receive all new posts directly to your email (guaranteed no spam… Ever… We promise), and register on the Forum to participate in the discussions (you can read the posts without registering, but not make your own contribution). The Easter egg hunt at the Eastern Curve Garden was a great success. Marked by its youthful spirit when even adults couldn’t resist searching out eggs in the higher brambles! 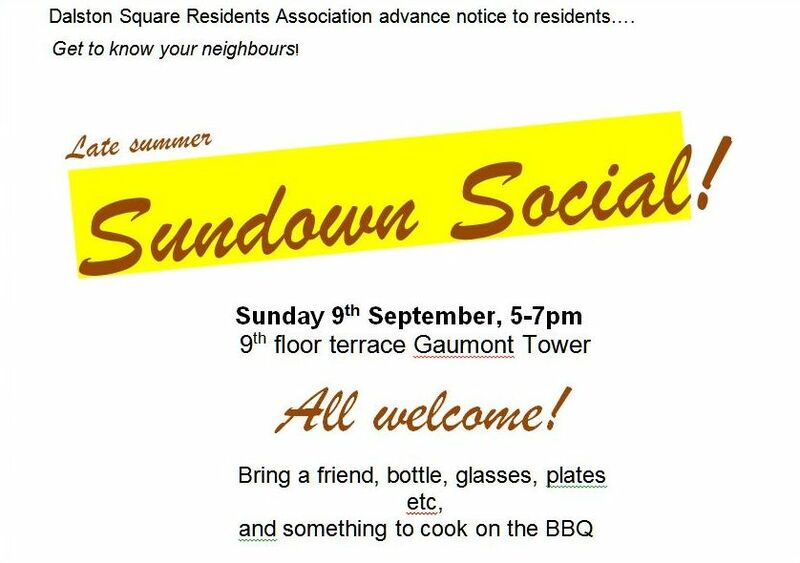 This event is to be followed by a ‘roof social’ for all residents, planned for Sunday 9th September on the 9th floor roof terrace of Gaumont Tower. This coincides with the closure of the Paralympics. The stadium is very visible from the east-facing roof so we hope for a firework display, although the Olympic committee has not yet fully responded to our request! Join us! Watch for posters in August. If you would like/are able to help with organisation, please get in touch via the Forum. Hello again. Just a quick plug for the Square’s very own resident artist. 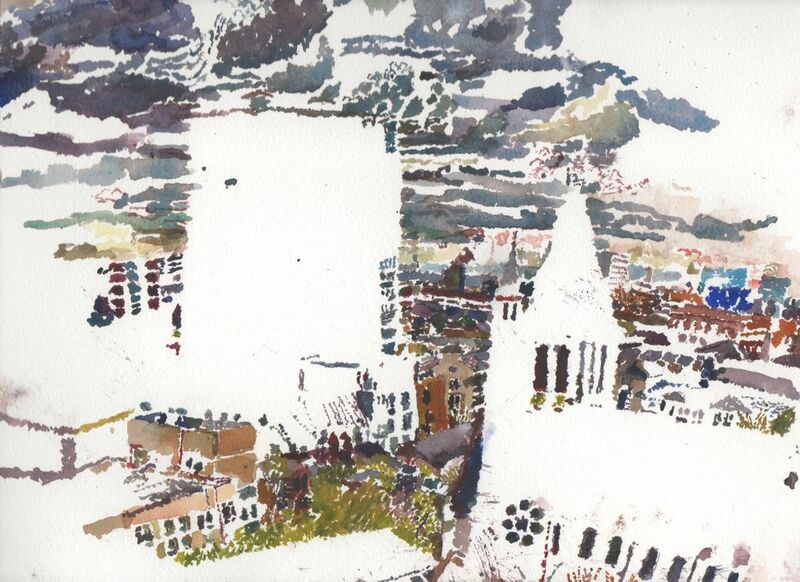 Alex Blum has recently completed some paintings of the London Skyline from the 9th floor roof terrace of Gaumont Tower, and is having an open studio exhibition of her work at the Chocolate Factory, just up Kingsland High Street towards Stoke Newington. Hi folks. Just a quick reminder that tomorrow (Sunday) is our Easter Egg Hunt in the Eastern Curve Garden from 2-4pm. 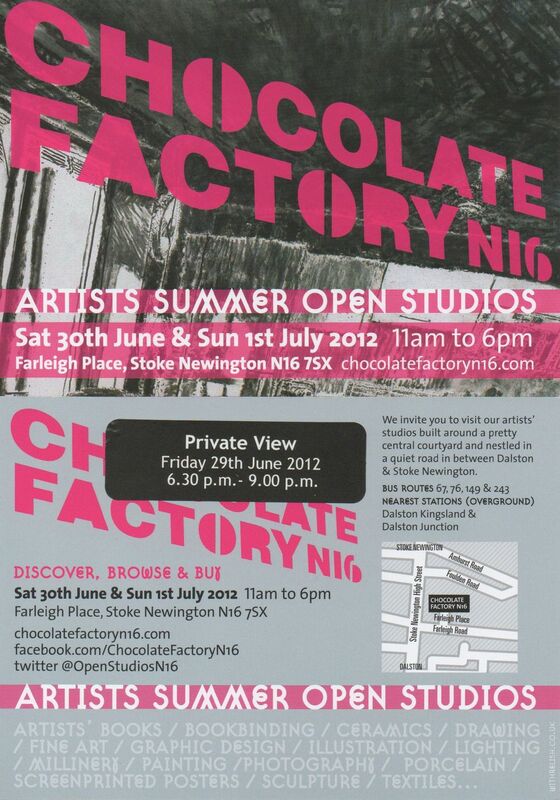 Entry is completely free, and open to all. Tea and coffee will be available for purchase, but if you fancy something a little stronger, or a snack of any kind, feel free to bring it along (enough to share perhaps?). The weather forecast is for cloudy skies, but dry throughout the afternoon. So, wrap yourselves and your kids warmly, and come join in the fun! Full details HERE. Easter Sunday, April 8th from 2 to 4 pm at the Dalston Eastern Curve Garden. There will be an Easter egg hunt for children of all ages. Yes, dads, that means you’re allowed to join in the fun, but make sure you leave some chocolate for the kids to find. The grown-ups can gather around the beautiful oak table for a fun afternoon of meeting the wider Dalston community. This get-together follows the spirit of the curve garden completely bringing people together in a peaceful and fun environment. 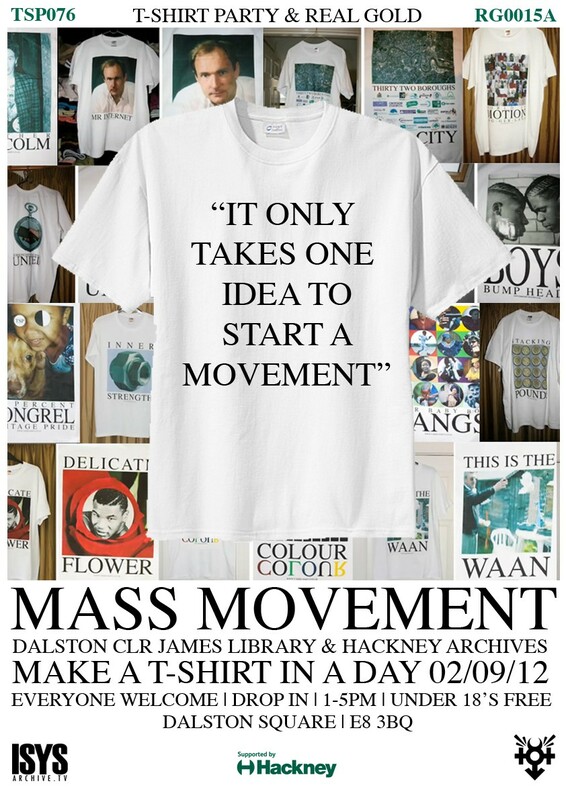 It is open to all Dalston residents, so bring your neighbours, friends and family. Tea and coffee will be sold to support the building of the new green house in the curve garden, but we strongly encourage everyone to bring food and drink to make sharing part of the experience. Are you from another country? Please bring some of your traditional Easter goodies and plenty of stories to tell! If you want to contribute, please drop-off donations of Easter eggs ( these ideally should best be the small one you buy in net packets) either at the Curve Garden or at the concierge’s desk, care of Christine Ullmann (61 Gaumont). We also need volunteers on the day to help hide the eggs and raise awareness of and drum-up support for the Garden. 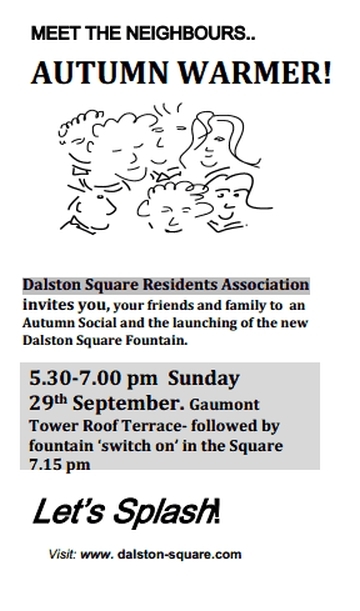 If you want to help in the organisation, please leave a comment in the Dalston Square Residents Association forum (http://dalstonsquare.proboards.com/index.cgi?board=calendar&action=display&thread=9).